We are located on the Oregon coast between Astoria and Seaside, on a two acre homestead with gardens, orchards, sheep, and chickens. We love to have people out for tours of our barn studio. Call or text us at 503.493.4367. MONTHLY OPEN STUDIO: Second Saturdays of the month we have an open studio morning 2-5pm. 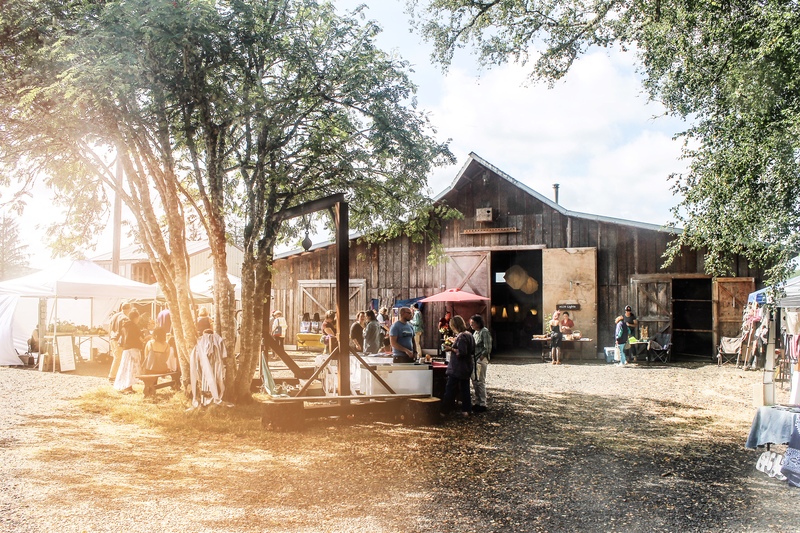 bazaars are a one day market celebrating the handcrafted and the homegrown with 20-30 local vendors. Please contact us to sign up for a class. Spring Herbs with Jennifer Childress + Vivi Tallman March 30th, 2- 5pm $45 Seasonal herbal medicine from the garden. Join us as we explore what plants are emerging now from the decay of the winter dark season, and focus on the green leaves of dandelion, nettle and violet. It’s time for some spring tonics! 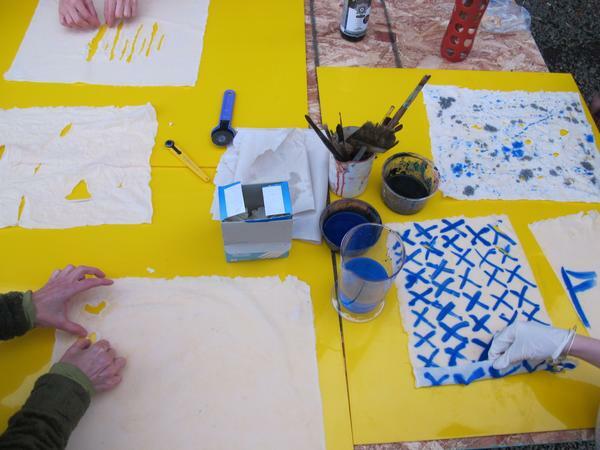 Paper Making with Lâm Quàng May 12th, 2-5pm $40 Basic paper making techniques. Make 3-5 10 x 20 inch sheets. Seasonal herbal medicine from the garden. As the days get longer, the plants are flowering: Dandelion, comfrey and calendula. Think fritters and oils. Vivi Tallman is a community herbalist who makes nourishing medicine from plants grown and wild harvested on the north Oregon coast. Vivi moved to Nehalem in 1978, and in her first years here she and her family operated a 40-cow dairy farm. Other pursuits have included starting and working for a series of local non profits. Along the way Vivi discovered the wonders of our local plant life, guided in that study by Portland herbalist Cascade Anderson Geller. The green world continues to inspire and bring her peace. Jennifer Childress is a community midwife and herbalist living on a family farm in the Nehalem Valley. She has been attracted to herbs all her adult life, since first being mentored by an adopted grandmother in 1986. She is particularly drawn to the common nourishing herbs that can be found wherever humans congregate, and believes that plants want to be in relationship with humans, offering their medicine to enrich our lives. She loves to incorporate herbal medicine into her care for family, farm, and birthing clients. We'll let you know about our barn events and gallery shows.